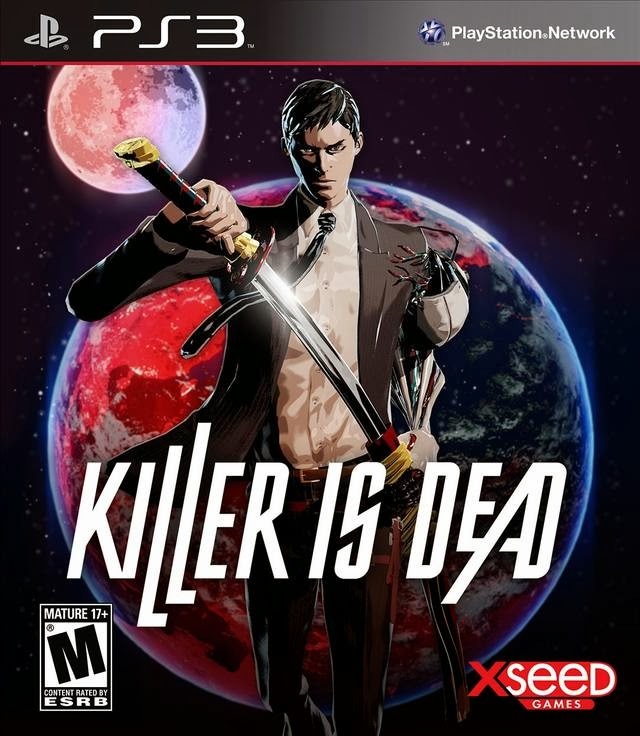 It has been a while for two things, a game review and a Suda 51 game, well luckily we are killing two birds with one stone on behalf of the recent console title, Killer is Dead. 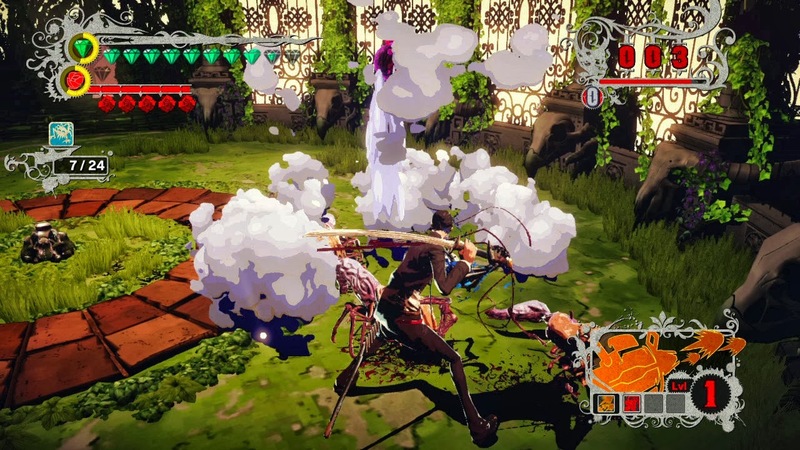 This recent entry is an action title that features the zany and off the wall style that we have come to expect from Suda 51, KADOKAWA, and GRASSHOPPER. The premise to Killer is Dead is that you take on the role of hitman and gigolo Mondo Zappa, the newest recruit of an elite killer agency, Bryan's Executioner Office, to complete a number of contracts. There have been a number of cult hits from the twisted mind of SUDA51, but this one sports the cell shaded look that fans had previously seen in No More Heroes and Killer 7, so it is high time to see how it compares to the obscure collection. 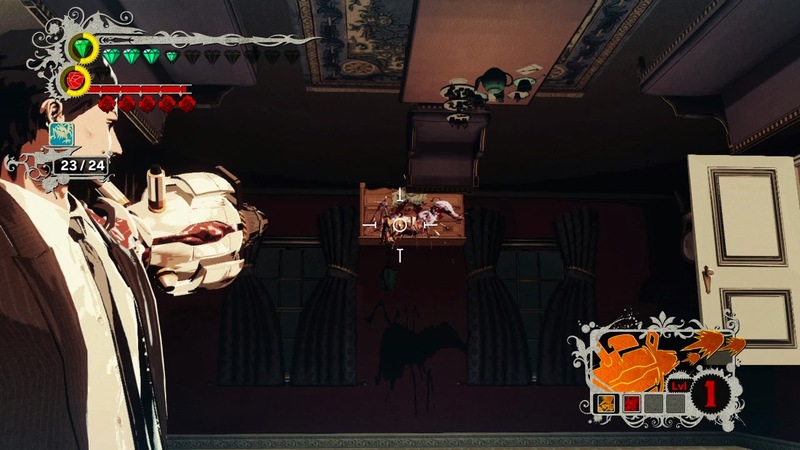 As I started Killer is Dead, I thought I knew what I was getting into, but like any other Suda 51 games with exception to Sine Mora or Black Knight Sword, the writing still managed to surprise me and make me blush at times. The cell-shading is reminiscent to earlier games and the writing is equally absurd to anyone that has played any of his games. The gameplay is where the real fun is at because the action is fast and rhythmic, the visuals are bright and flashy, and weapon upgrades are available for both your sword and biomechanical arm based on how well you do in gigolo mode. Gigolo mode is a part of the game in which you meet up with different women to give gifts and ogle up and down while your date is distracted until you get the confidence to seal the deal. I was not a big fan of the biomechanical arm as aiming it slows down gameplay greatly and the lack of lock on ability to enemies and switches bring hacking and slashing to a halt. 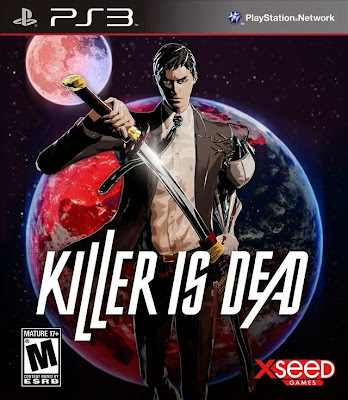 Killer is Dead was a fun game to play and as a fan of just about all of the Suda 51 games, it was exactly what one has come to expect from him. The story content and gigolo mode were so over the top that it makes you uncomfortable, but not quite to the point of questioning life decisions that got you to this point. Shadows of the Damned and Lollipop Chainsaw are still my favorite, but Killer is Dead was just about as good to me it felt like a more evolved No More Heroes. It did have some nuances that got frustrating at times and that was mainly the aiming and the camera, but the level designs, gigolo mode for upgrades(make sure to have presents on hand), and the boss battles had me engaged from start to finish. Killer is Dead is available now for PlayStation 3 and Xbox 360 for the price of $59.99.